The average teenager now sends a staggering 1,800 texts a month. This scale is why Facebook announced a new chat-centric smartphone application, Home, hoping to snag the lucrative data of a new generation of hyper-connected, text-obsessed teens. Once the social center for yuppie Ivy League 20-somethings, Facebook will launch Home on a super-cheap $99 Android smartphone, expanding the social network to the rest of the youth market of high-schoolers with little more than piggy-bank money to spend on technology. Home’s signature feature, appropriately titled “Chat Heads,” is “a way you can talk to your friends no matter what you’re doing in your phone, no matter what app you’re in,” explained Joey Flynn, a Facebook product designer. 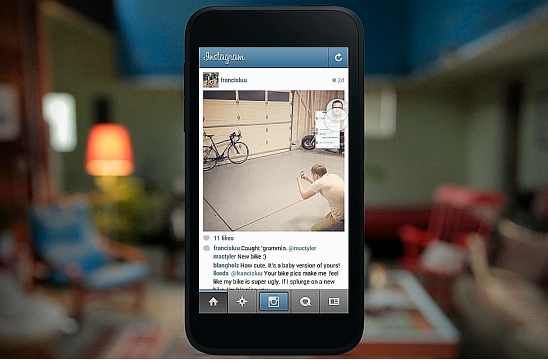 When users share an Instagram photo, for instance, a chat thread is conveniently kept live, right underneath the shutter. If you haven’t witnessed the socialization habits of 21st-century teens, it’s quite a sight. Teens roam in groups, seamlessly juggling dozens of conversations with geographically disparate friends, sharing photos and gossip in a flurry of thumb taps. To the next generation, there is practically no distinction between a friend five feet away or 500 miles. If Home can be the technological solution that permits teens to share even more information, they’ll flock in droves to Facebook, giving the social network an extraordinary dataset of human conversation. Everyday chatting is rich with data on events, consumer preferences and hidden friendships. Much like Google advertises to Gmail users based on the textual scans of their emails, chats could make Facebook’s ad targeting smarter. Even if Facebook doesn’t plan on scanning chats, it makes the social network the default home of an entire generation. I suspect that many of my colleagues in the tech press will dismiss Chat Heads as a boring — if not irritating — feature. However, they’re not the target. The first Facebook generation uses the Internet to occasionally browse, comment and announce social activity. The next generation lives on the Internet as a constant extension of their physical social life. This is the next evolution of the Internet, and Facebook wants to own it.